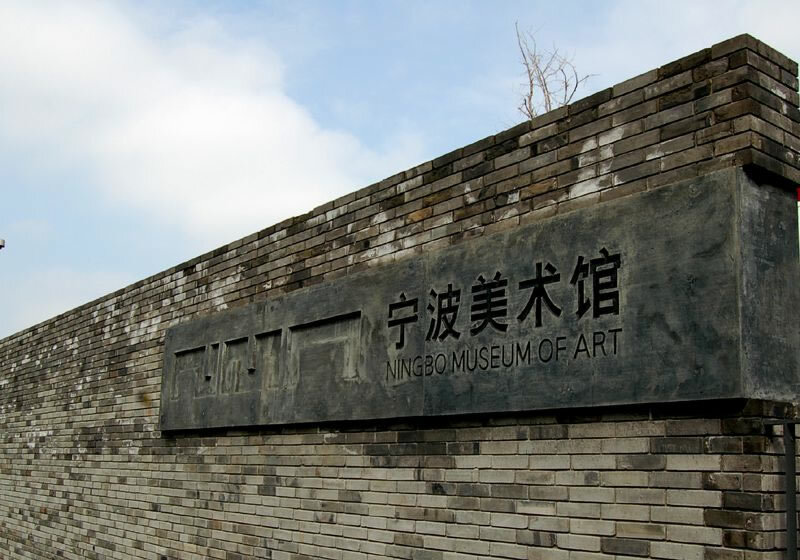 Ningbo Museum of Art is a non-profit cultural instituttion with strong support from Ningbo Municipal Government. 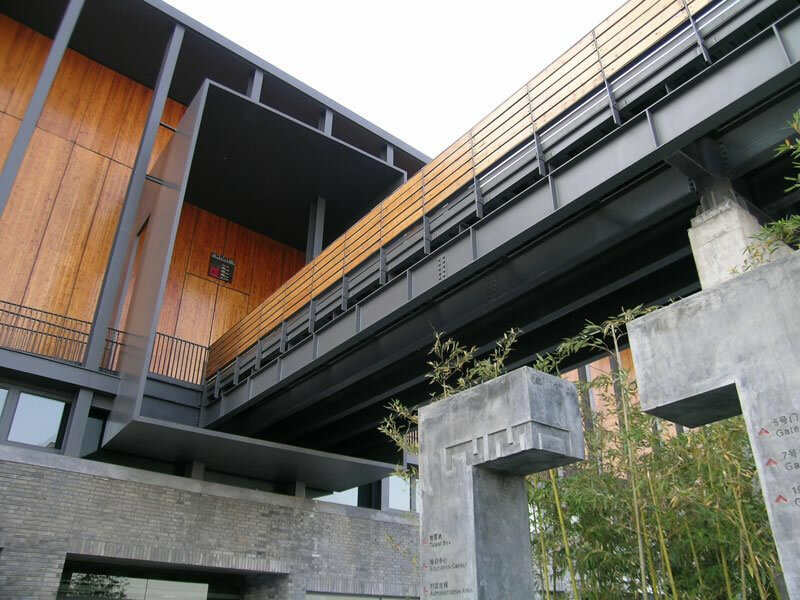 Opened in October, 2005, the museum has been dedicated to collection, research and exhibitions of modern and contemporary artistic works in Ningbo, China and from abroad. We strive to build the museum into one of top-class museums in the country with distinctive local features. 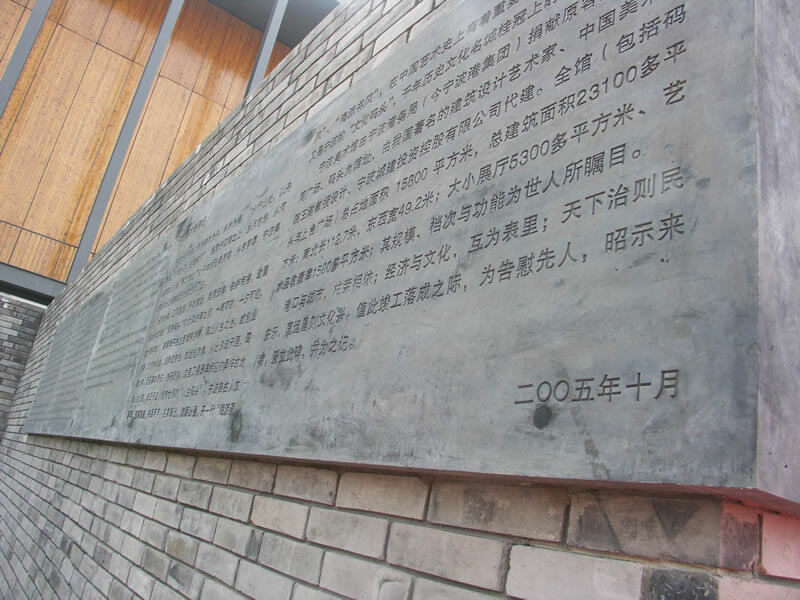 The Museum covers an area of 158,000㎡ and a floor space of 23,100 ㎡. It consists of the main building (16,200㎡), upper-level gallery space, underground parking lot and docks. The main building comprises exhibition halls of various sizes (5,300 ㎡ in total), a collection storeroom (about 1,500 ㎡) , an auditorium, an artist studio, an artistic education center, an gallery, a gift shop, etc.The museum is a place for exhibition, collection, academic research, education and cultural exchanges.The museum houses more than 4,000 pieces of various collections and helds about 60 exhibitions annually. It is the member of CIMAM (the International Committee of ICOM for Museums of Modern and Contemporary Art]) and Committee of Art Museums in China. Ningbo Museum of Art is one of the most typical works of Chinese architect Shu Wang, who won the Pritzker Architecture Prize in 2012.